Below please find an op-ed by R-CALF USA CEO Bill Bullard. 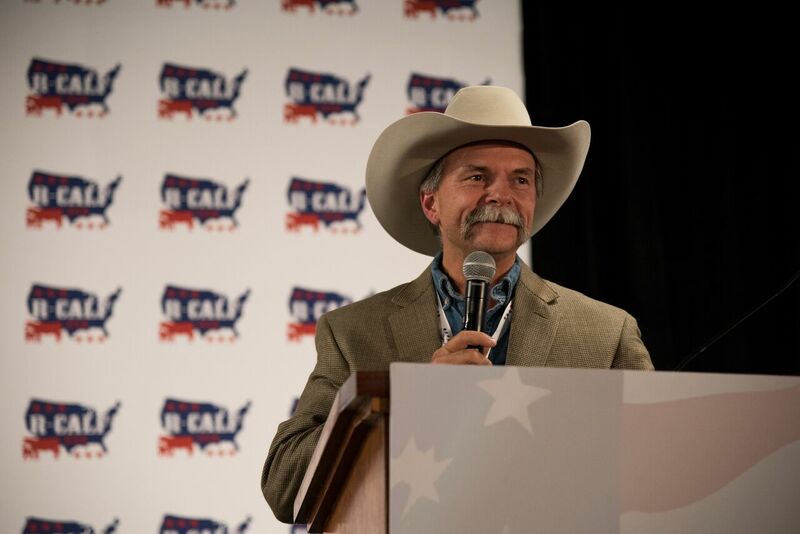 It is a rebuttal to the multitude of editorials and op-eds recently published to discredit R-CALF USA and to deflect attention away from the substantial challenges faced by independent U.S. cattle producers. R-CALF USA formed two decades ago, just after the NCBA merged with the packers. It’s now the nation’s largest producer-only cattle trade association. We’re not the watchdog, we’re the champion for the American cattlemen – the David versus Goliath. Here is a brief historical account explaining when and how we accumulate critics and who they are. R-CALF initially won its trade case against Canada for dumping cattle into our market. Temporary tariffs were implemented. Cattle prices increased. Critics were livid. In 2002, we won congressional passage of mandatory Country-of-Origin Labeling (COOL). Critics were outraged, chiding we shouldn’t work with consumer groups. Though beef suffered a setback, our efforts still help fruit, vegetable, fish, chicken, lamb, nut and ginseng farmers because all these commodities remain under the COOL law. Many American farmers are now winning their markets back. A year later, we won the first of three injunctions against the government for allowing Canadian cattle imports while multiple mad cow disease outbreaks were still occurring. Cattle prices increased to their highest nominal levels. Critics labeled us radical, anti-beef and anti-trade. When we stopped the merger between Brazilian-owned JBS and U.S.-owned National Beef Packing Company in 2008, we gained more critics. Interestingly, National Beef later thanked us for our action. Our critic list grew even more in 2013 when we defeated the lawsuit brought by packers and the NCBA seeking COOL’s repeal. The courts ruled COOL complied with our Constitution. Once again, cattle prices increased to their highest nominal levels in history. Cattlemen won. We smiled. However, critics rejoiced in 2015 when unelected foreigners at the World Trade Organization “scared” Congress into repealing COOL for beef under threat of tariffs. I bet that outcome would be different today under the Trump Administration. Our critics upped their anti-beef and “radical” rhetoric when we called for an investigation into the 2015 price collapse, which stripped nearly half the value of calves from producers. Investigators did find that prices were affected by cheaper imports and that competition was so lacking in some regions that cattle prices declined. Yet, our critics claim the investigation found no competition problems. Duh? 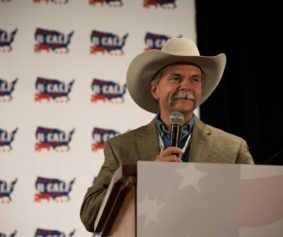 When R-CALF filed its lawsuit asserting the government is ignoring prior law by allowing “Product of U.S.A.” labels on foreign beef, our critics resumed their mean-spirited and angry persona. In June, the court found that cattle producers were indeed harmed by COOL’s repeal. Our critics have hated that we are the only major agricultural group to aggressively and publicly support the Trump Administration’s TPP withdrawal, NAFTA renegotiation, and tariff implementation. We recently hit our critics’ pocketbooks, winning an injunction that gives producers the choice of allowing their checkoff dollars to be sent to the NCBA or directing it all to the government-managed national program. Producers are choosing the national program. Critics are losing their gravy train. Most recently, critics have been fabricating theories of connections between us and animal rights extremists, while we have been busy filing a request for an investigation into packer trading practices. Our research found futures trading anomalies suggesting packers are manipulating the market, to earn record margins while depressing producer prices. We joined a letter calling for a moratorium on mergers and acquisitions among large food industry corporations. We helped write the legislation. Other groups, including OCM, had a hand in it too. R-CALF USA is not so petty that it will pass on winning its members’ objectives because other groups supporting our members’ objective choose to work with groups that R-CALF USA does not. Critics will oppose the legislation because they want the cattle industry to follow the packer-controlled hog and poultry industries. Instead, they dutifully attack anyone who opposes the packers’ grand plan. That’s who they are. Two things are certain: R-CALF USA will return a competitive marketplace to U.S. cattle producers and R-CALF USA will continually attract new critics, who will lash out in sheer frustration for not being able to stop us. We hope to soon attract a higher-class of critics – critics who will publicly debate us on the merits of our initiatives, not on the rumors from their propaganda machines. Meanwhile, if you paid dues to our critics’ groups, you may want to ask for your money back. Bill Bullard is the CEO of R-CALF USA, the nation’s largest non-profit trade association representing the U.S. cattle industry.